Flavors of dried and preserved fruits, cinnamon and traditional Charentais rancio. Rich, round, and lengthy aromas of muscat and orange blossom. 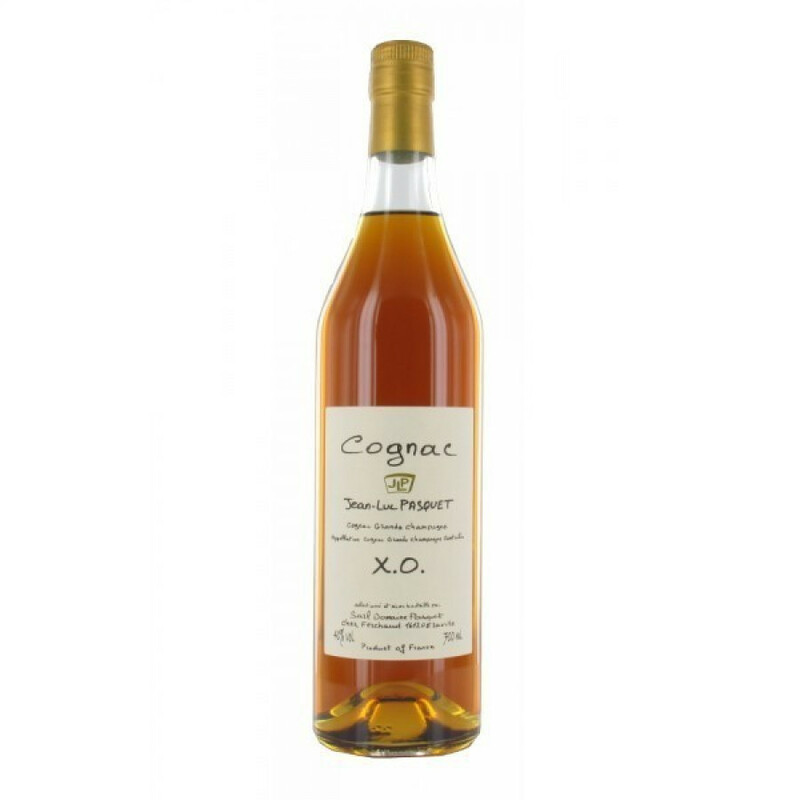 The Pasquet XO Grande Champagne Cognac is a delightful offering from this small, traditional cognac house. And, we have to say, it's extraordinary! Created from a blend of eaux-de-vie from the Grande Champagne region, it's the epitome of all that makes this the premier terroir growing area for Cognac grapes. Aged for a minimum of 25 years, it takes your taste buds on a rollercoaster ride of spice, cinnamon, dried fruits, muscat, and orange blossom. And of course, as you'd expect from a cognac of this age, that special 'rancio' is present and correct. This is cognac to savour - one for special occasions. I tasted 6 cognacs in a blind tasting and Pasquet's XO came in on position #1! Well done Jean and Amy.. So let's look at this: Intense nose, fruity, floral and sweet - complex. The mouth is super balanced, and I like the after taste. Recommended!